One of the newest restaurants in Elabuga. It is made in the style of the Middle Ages, is located in close proximity to the town symbol – “Devil's fortress”. 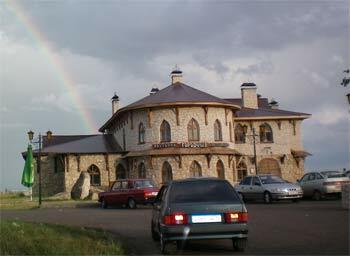 Stone decoration of the restaurant matches the appearance of the tower itself, the “Devil's fortress”.